Caster Technology began as a family-owned business in 1984 as Far West Caster Corporation. Brothers Karl and David Elles founded the fledgling company in a tiny building in Tustin, California. 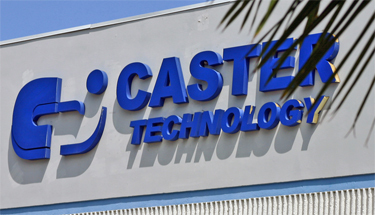 Today, Caster Tech is housed in a large, bustling facility in Garden Grove, California. The customers we serve are not just located around the country, but around the globe, and range from small logistics operations to some of the finest resorts in the world. But no matter whom the customer may be, one thing is always true: we carry the original spirit of two brothers doing all they can to deliver the best value and quality by finding the right solution to fit customer needs and deliver it on time, every time. We began as a family-owned business and although we’re bigger than just two brothers, Caster Tech is still a family-owned business, with the same promise we’ve always had: Every Caster. Every Need. Every Time.